Tropical. All things tropical are on trend from pineapples, flamingos, and palm fronds. I am always a sucker for tropical theme parties! 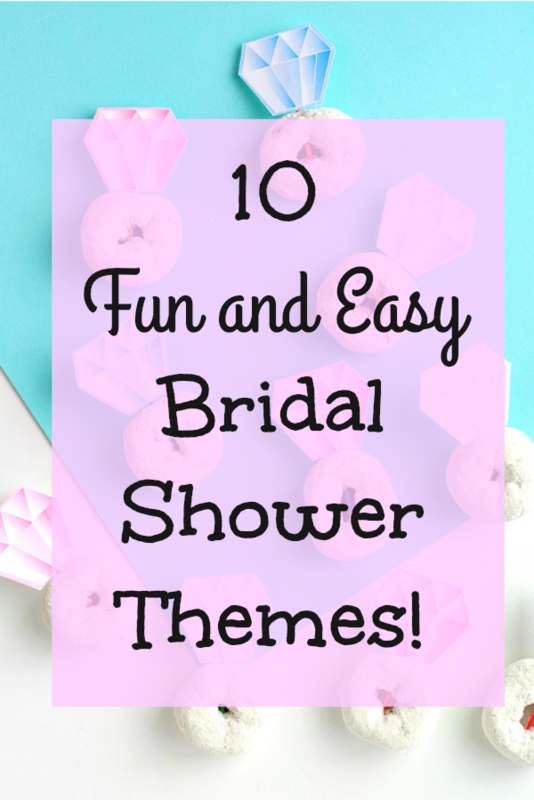 Check out all these fabulous tropical shower ideas from Deer Pearl Flowers. Rustic. This is another theme that is huge in weddings right now! The rustic look is easy and elegant to achieve for a bridal shower. Wood slabs, babies breath, burlap and mason jars are easy decorations to add to the rustic look. Tons of rustic ideas on Hi Miss Puff. Sparkle and glam! In my opinion you can never have too much sparkle. The bride to be just got some new sparkle and you can make the bridal shower sparkle to match! Glitter champagne bottles, glitter glasses, and banners. You can make a sparkle/bling bar with diy costume sparkly jewelry. You can also use any colors for a sparkly bash. 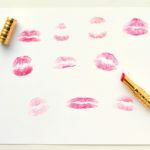 Check out these fabulous glitzy glam bridal shower ideas from Happy Wedd. Mimosa Brunch. Bridal brunches are the best! Especially the mimosas. I love a good mimosa bar and there is no shortage of inspiration for mimosas on pinterest! This mimosa bar with free printables from Michelle Got Married looks so fun! You can do store bought donuts and pastries for food to make it super easy! Donuts! Since donuts have a ring shape and are super trendy right now they can be a theme for a whole breakfast/brunch bridal shower. Donut walls and towers would look adorable. You can make your own donut wall, they are the coolest! Here is a DIY Donut Pegboard from Oh Happy Day! I just want one of those in my house! 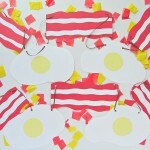 You can also add donut banners and printable decor. Add some diamond donut toppers like these printable ones I have here! Beach theme! It seems like a lot of brides would love to get married barefoot on the beach(myself included). Sometimes the bride can’t have the beach at her wedding but you can bring the beachy vibes to her bridal shower. Shells, and sand are simple centerpieces to make. Add touches of light blue and green to capture the feel of the ocean. Love this beach bridal brunch from The Frugal Homemaker. Also this Chic Beachy Bridal Shower from Hostest With The Mostest. Drinks and diamonds! There just has to be some kind of beverages to cheers to the brides future! Have small decorative “diamond” decorations and drink decor. 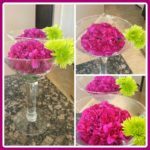 I used large martini glass vases with carnations to look like a drink. You can also just fill wine glasses or drink glasses with water and food coloring. Then add a floating candle and bam you have easy drink decorations! 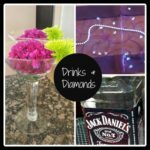 Wine or liquor bottles with a few flowers are also a simple decoration idea.See my drinks and diamonds shower ideas Here! Love is in the air! This can include lots of balloons. You could decorate purely with balloons and balloon garlands. Also hot air balloon decorations would be adorable for this. This amazing balloon arch from The House Lars Built can be inspiration! The adventure begins! For the wanderlust couple who loves to embark on adventures together this theme is perfect! You can add travel related decor like globes, luggage tags, maps, and mini suitcases. Love this An Adventure Awaits travel themed shower from Ultimate Bridesmaid. Love bloom. What bride to be doesn’t love flowers?! Let love bloom with flowers! You can use fake, real or a combination of both flowers(this can save money). You can have diy floral crown making. 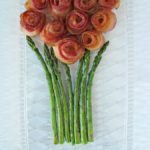 This can be easy with babies breath and floral tape! I love this diy floral balloon found on Afloral. This garden bridal shower is also perfect for inspiration from Aisle Perfect.